The tropical island in the middle of the Indian Ocean is world renowned for its pulchritude. Many a travelers have beheld the beauty of the isle and have scribed the riches of the island in their chronicles. The charmness of Sri Lanka oozed into cricket too and nourished it with its splendor. The island nation now hosts several of the most beautiful stadiums in the world, and what could shock many is the fact that two of these stadiums are yet to host any international fixtures. If steps can be taken to develop these crude yet exquisite stadiums, then Sri Lankans will have more to brag about! Here we take a look at five such stadiums. 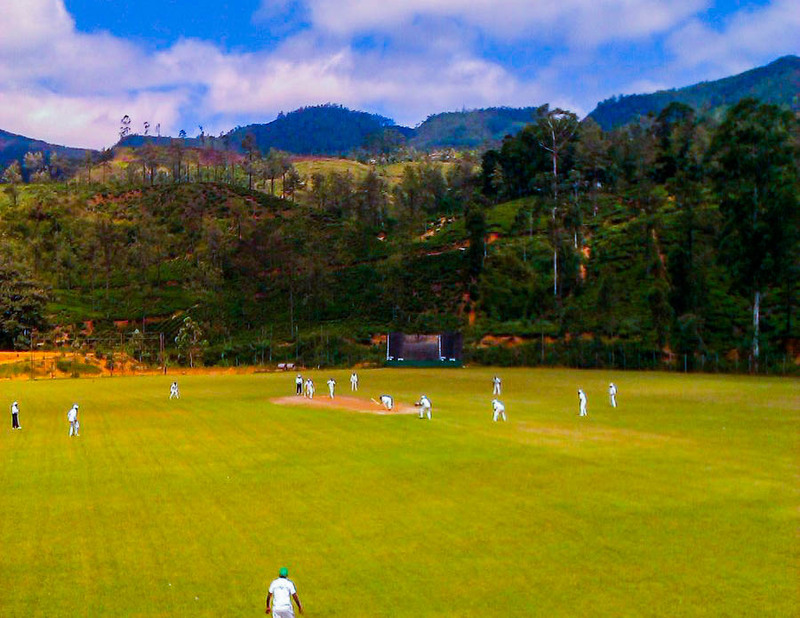 One of the two newly built stadiums for the 2011 cricket world cup, Pallekele sports blue hills and rich flora around its periphery. Built after being inspired by the Supersport Park in Centurion, South Africa, Pallekele is now Sri Lanka’s second premiere international stadium. Notorious for a plethora of rain-washed test matches, this stadium holds the record of being only the third stadium in the world to see a wicket fall off the first ever ball bowled in the stadium. Grass banks bedeck either side of the ground and the total capacity of the stadium exceed 35,000. 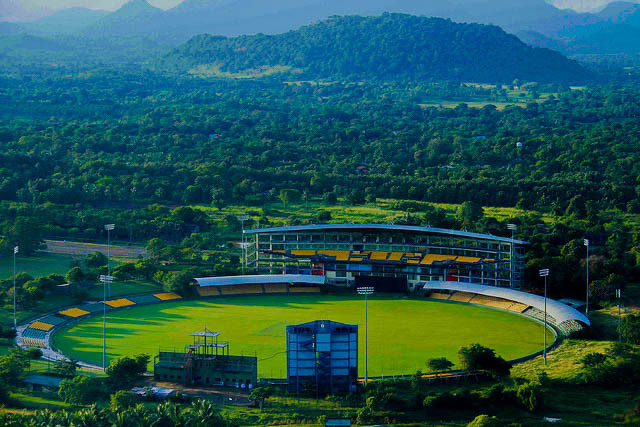 With the Dambulla tank mewling on one side and the Dambulla rock imposing on the other, the Rangiri Dambulla International Cricket stadium lounges amidst UNESCO protected cave temples. 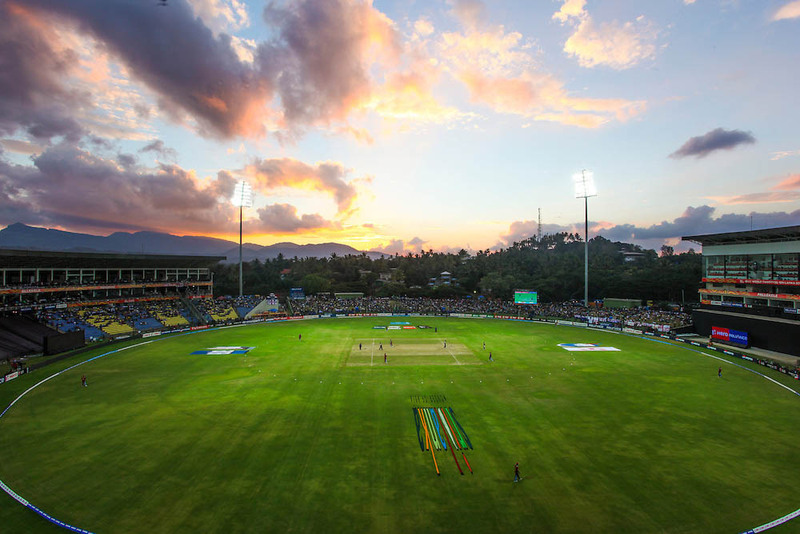 Built within 167 days chiefly to host matches during the wet season, since Dambulla is drier in comparison to most of the other parts, the stadium has enticed controversies ever since its establishment. After the inaugural match, there was a hiatus of almost two years due to scuffles surrounding lease and ownership. After 2010, the floodlights were deemed inadequate and inefficient, and the ground entered another three years of hibernation. In 2013, cricket returned to Dambulla, although no more day-night matches are hosted. A plan is afoot to install LED floodlights and soon this scenic stadium would be hosting day-night matches again. Asgiriya is the only international cricket stadium in the world that is owned by a secondary school- Trinity College. This stadium lies on the summit of a mountain, the top of which was carved off to accommodate this dazzling stadium. 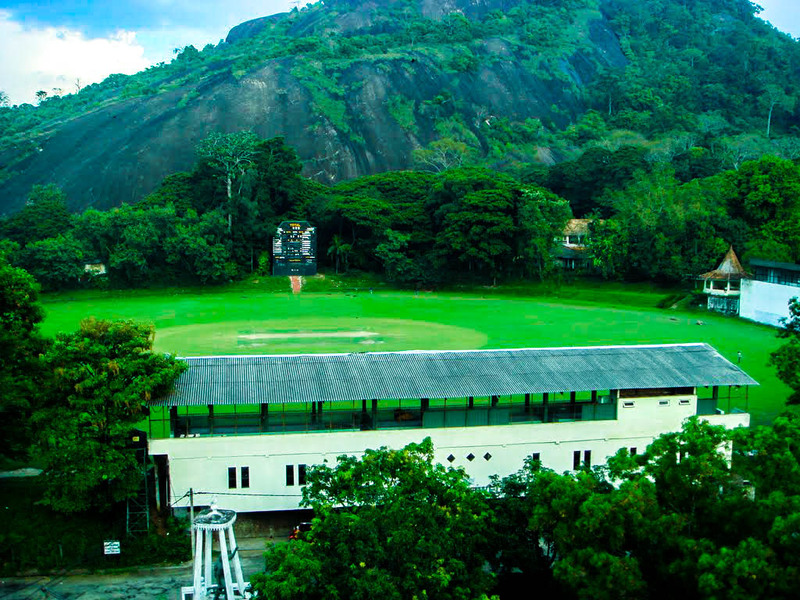 The city of Kandy lies below this mountain and during match days, one could witness fluffy white clouds gazing at the proceedings at arm’s length. Founded in 1915, this became Sri Lanka’s second test venue after the P Sara Oval stadium. With a capacity of around 10,000, this stadium has hosted several of Sri Lanka’s most memorable matches, including the only test match that Sri Lanka have ever won against Australia hitherto and the record breaking world cup match against Kenya in 1996. The stadium ceased hosting international matches once another international stadium was built in Pallekele, but there is still a chance of this stadium hosing international fixtures. Nested in the North Central province of Sri Lanka is this dramatic multi-purpose stadium which is primarily used to host cricket matches. Established in 1972, this stadium sits aside a gigantic rock named “Elephant rock” or “Ethagala”, which is one of the seven rocks that superintend the city of Kurunegala. A serene statue of Buddha is perched atop this rock and that only makes the stadium’s ambience even more soothing. Unlike the modern barren stadiums, there would be no need for parasols in this ground as the green foliage provide spectators enough shade to escape the scorching sun. With a capacity of 10,000, this stadium has hosted warm-up games, U-19 matches and women’s matches. The unique feature of this ground is its media center, which was actually a part of a temple that was used by King Buvenakabahu VI to address his subjects during the Kurunegala Kingdom. Located in the enchanting city of Nuwara-Eliya and established in 1856, Radella could be safely and categorically regarded as the most picturesque stadium in the world. 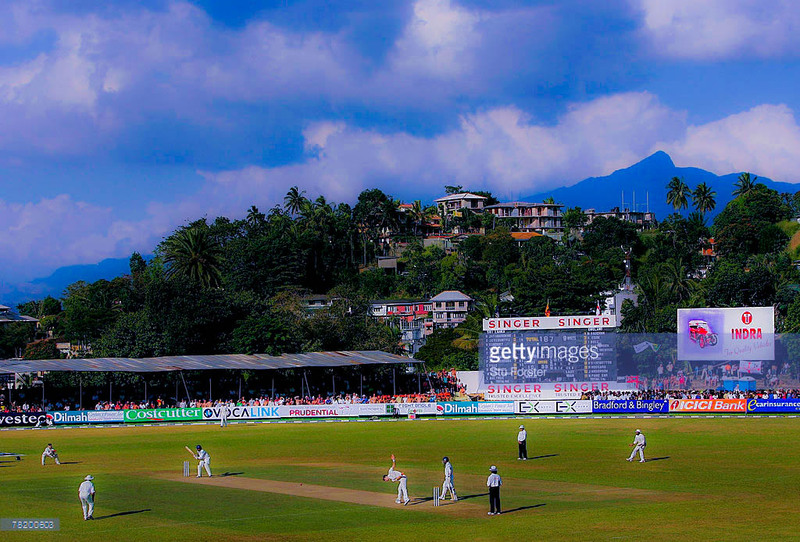 Celebrated by the Wisden as ‘one of the most scenic cricket grounds in the world,’ Radella is fenced by sturdy hills clad with tea plantations. The leafy backdrop clubbed with the towering pine trees can easily hoodwink anyone into believing that they had enigmatically apparated to a western European country. The weather and climate are unlike Sri Lankan and much like European and hence, in the past the Sri Lankan team used to train in this ground prior to embarking on a tour to England. This is also one the fewest stadiums in the world being situated at an altitude of 4000 ft. Owned by Dimbula Cricket Club, this ground has hosted one List A game, one first class game and several youth ODI matches during the 2000 U-19 world cup.